Many organizations are implementing threat management approaches to identify and respond to potentially threatening behaviors, threats and acts of violence. Threat management teams bring together different types of expertise throughout a company to assess, investigate, respond to, monitor and mitigate situations. 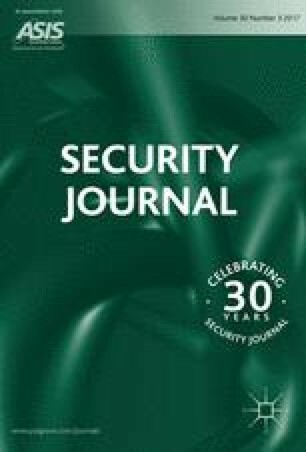 This article presents a conceptual model for threat management and tests the model using tabletop scenarios with a large multinational company’s threat management team training program. The tabletop training using the model assisted teams in assessing the incident to determine the risk level, identifying investigative steps, and using expertise and resources of the different team members. Pre-post tests indicated that the training significantly increased team member’s confidence in the threat management process. This work was funded by the National Institute for Occupational Safety and Health (R21 OH009492). Borum, R., Fein, R., Vossekuil, B. and Berglund, J. (1999) Threat assessment: Defining an approach to assessing risk for targeted violence. Mental Health Law & Policy Faculty Publications. Paper 146. http://scholarcommons.usf.edu/mhlp_facpub/146. Department of Homeland Security. Office of Domestic Preparedness. Homeland Security Exercise and Evaluation Program. (October 2003). Volume II: Exercise Evaluation and Improvement. NCJ 202198. Washington, D.C. http://www.ojp.gov/odp/docs/HSEEPv2.pdf, accessed December 2007. Federal Emergency Management Agency. Emergency Management Institute. Department of Homeland Security. (March 2003). Simulation Exercise Design. Independent Study IS139. http://www.training.fema.gov/emiweb/IS/is139lst.asp, accessed 3 April 2015. Securitas. (2014) Top security threats and management issues facing corporate America, http://www.securitas.com/Global/United%20States/2012%20Top%20Security%20Threats.pdf, accessed 23 March 2014.